Certification in The Edward R. Murrow College of Communication opens the door for upper-division courses in each of the three communication degrees: Strategic Communication, Journalism and Media Production, and Communication and Society. Students apply online during the semester the final requirements are to be completed. Applicant’s performance on the Murrow College Grammar and Writing Exam (via the COM 138 course). The top students are certified based on the number of spots available that semester. Transfer course grades will NOT be used to calculate the cumulative WSU GPA. All prospective students are encouraged to apply, provided they are on-track to complete the requirements for certification listed above. If you have 30 credits (15 WSU credits) and a 3.0 GPA you are guaranteed to certify. If your cumulative GPA is less than a 3.0 we still STRONGLY encourage you to apply. 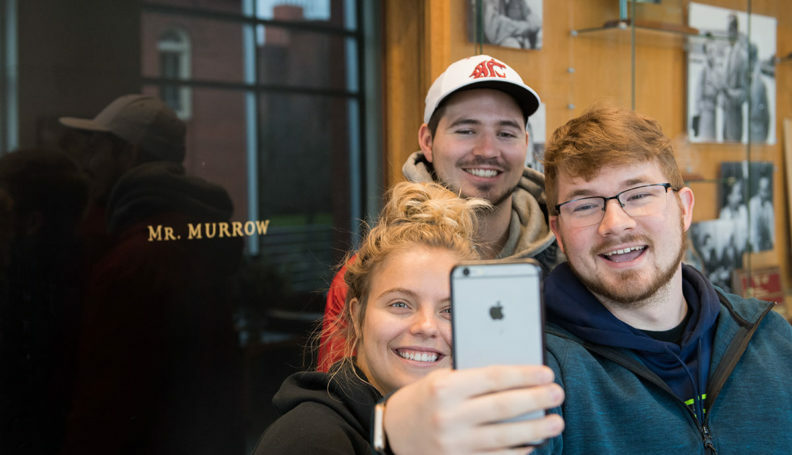 Students may apply to certify in a Murrow minor after they have certified in a major outside of the Murrow College of Communication, have completed 60 credits, and have a WSU cumulative GPA of 2.7 or better. Students must pass their minor courses and maintain a 2.0 cumulative GPA.